The MeLE PCG01 is MeLE’s first Windows stick. 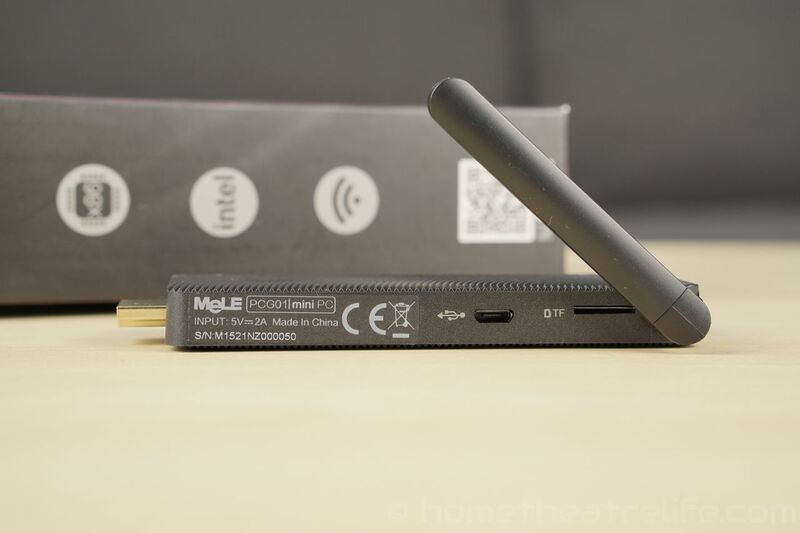 After the well-recieved PCG03, MeLE have opted for a stick form factor for their latest Windows PC. Powered by the Intel Z3735F and running Windows 8.1 with Bing, the MeLE PCG01 features 2GB of RAM, 32GB of onboard storage. Thanks to MeLE for providing me a sample to review. I’ve also seen a female-female HDMI adapter included in some boxes so you can use a standard HDMI cable to connect the device up but there wasn’t one inside my package. I was really happy to see MeLE pack in 4 different plugs for various countries. As an Australian, I typically have to deal with travel adapters to plug in my mini PCs so having a native Australian plug is amazing. Furthermore, having all 4 plugs means its super easy to take travelling with you. 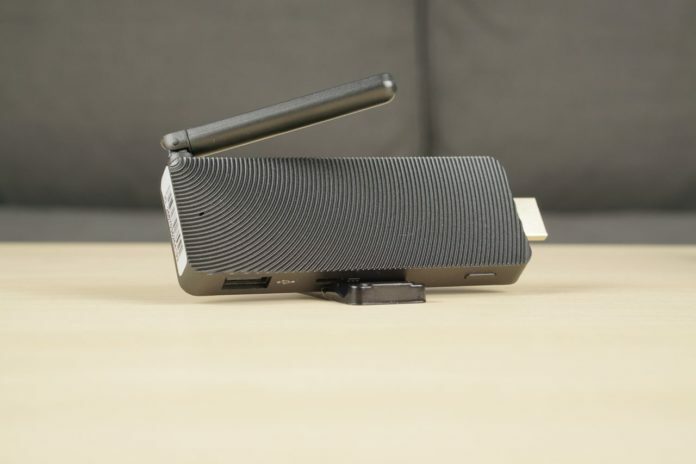 The MeLE PCG01 adopts a stick form factor, making it incredibly portable. At 110x49x11.5mm, it’s roughly the size of the Intel Compute Stick and compact enough to chuck into your pocket to take with you. The all-black case has a really cool ripple effect on both the top and bottom panels that looks great. It also serves to help keep the unit cool by increasing the face’s surface area and allowing the whole unit to be entirely passively cooled. The MeLE PCG01 also feels really solid. There’s a nice heft to the device that makes it feels like something well-made rather than cheap and plasticky. The ports are located along the two long sides of the unit. On once side, we have the micro USB OTG port, micro SD card slot and an external WiFi antenna. The other side has a fullsize USB port, DC power in and a power button. 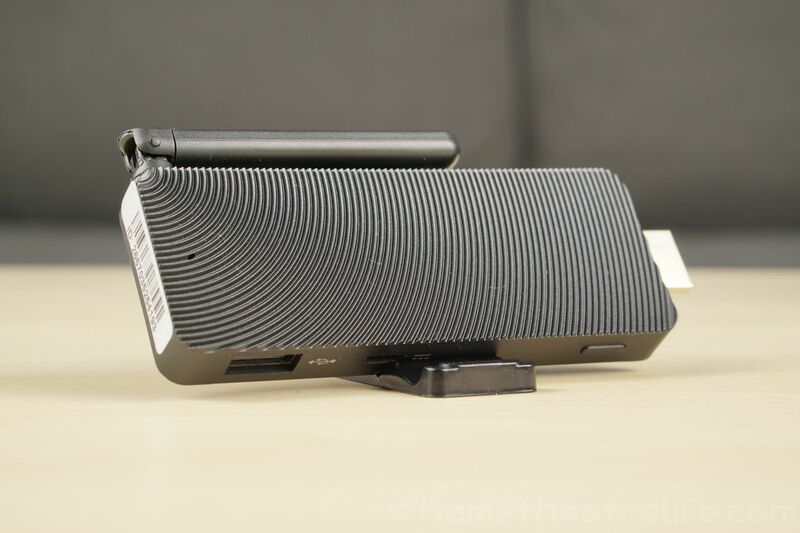 Lastly, the front of the device houses a male HDMI plug so you can plug the unit directly into the TV. 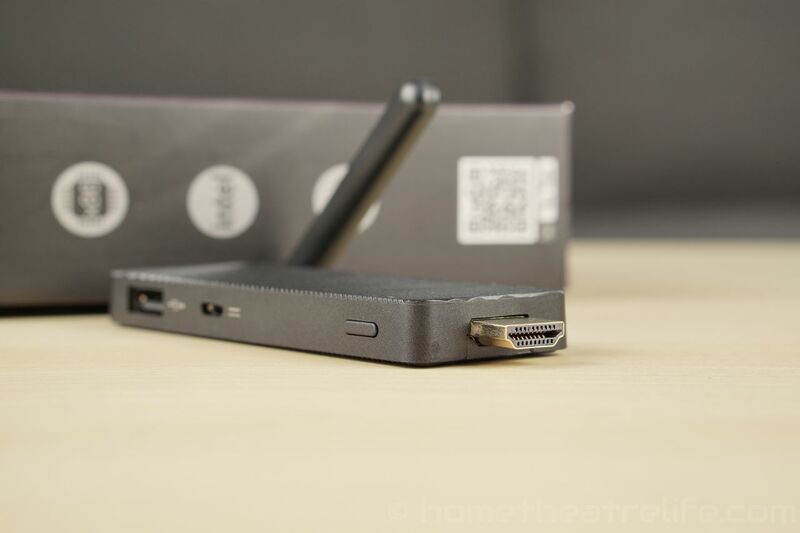 I would have loved to see an extra fullsize USB port make it instead of a USB OTG port, as by the time you add a keyboard/mouse dongle, USB OTG cable and a flash drive, the whole unit looks more like an octopus than a PC. While functional, it’s a little awkward. The MeLE PCG01 is booted by a brief press of the power button. A cold boot takes just 15 seconds and resuming from standby is essentially instant. The unit runs the 32-bit version of Windows 8.1 with Bing. After the standard Windows setup process, including being prompted to install Windows 10 (which I left for another day), I ended up with an activated Windows 8 install. 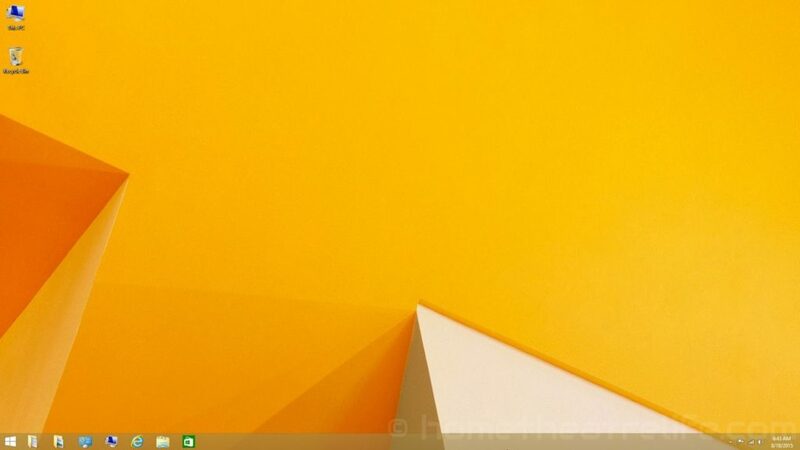 Those of you who are familiar with Windows won’t find any surprises here. Out of the box, the unit had 18.5/23Gb free on the C:\ drive. 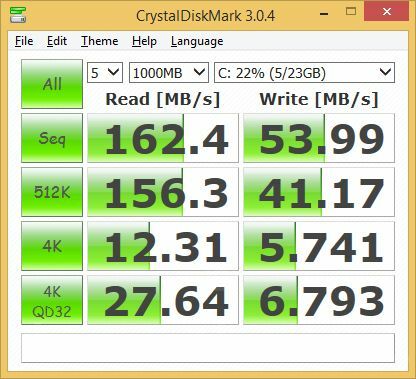 The unit’s 32Gb of Internal storage was partitioned into 3 partitions: 100mb, 23.04GB for the user and a 5.86GB Recovery partition. As we’ve seen time and time again, the Intel Z3735F is a powerful SoC and I can say that the MeLE PCG01 handles Windows 8.1 like a dream. Animations were smooth, applications loaded quickly and multitasking such as watching a video whilst browsing the web were fine. 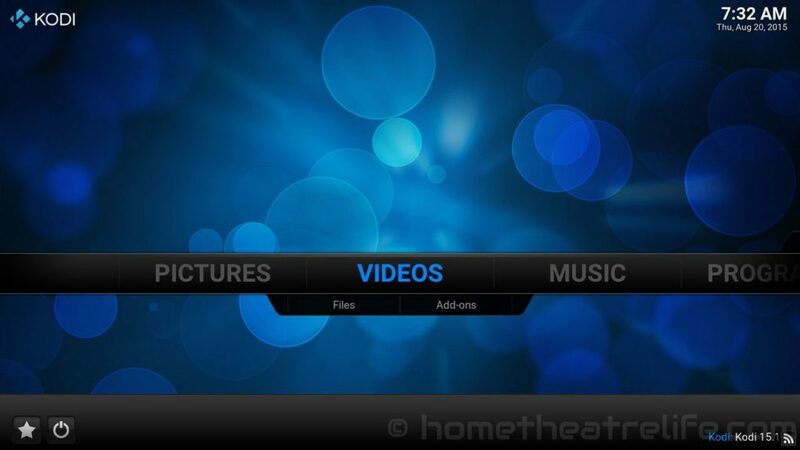 Video playback was tested using Kodi 15.0 due to its excellent codec support and HTPC frontend. I was able to play the Sintel Bluray ISO in Kodi without any issues so those of you wanting to play unencrypted Blurays should be covered. Automatic frame rate switching worked well in Kodi, automatically changing my panel’s refresh rate to match the video. Overall, the MeLE PCG01 did an excellent job playing back my media samples. The most common codecs were handled well, with only some more complex and demanding codecs such as Hi10p H.264 and HEVC tripping up the unit due to its lack of hardware decoding support for these formats. 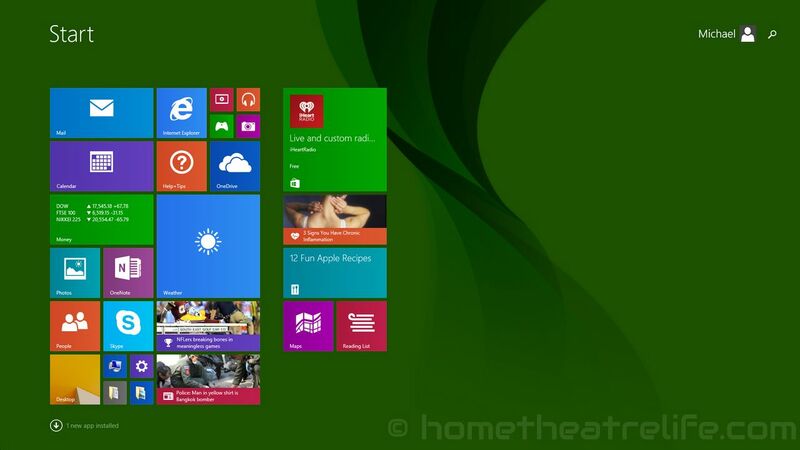 I was able to plug in my USB drive and 2.5″ HDD and play videos without any issues. Gaming performance on the PCG01 was pretty good overall. The 2D Jetpack Joyride played like a dream with a rock-solid framerate. Similarly, Beach Buggy Racing on max settings was an equally solid performer. 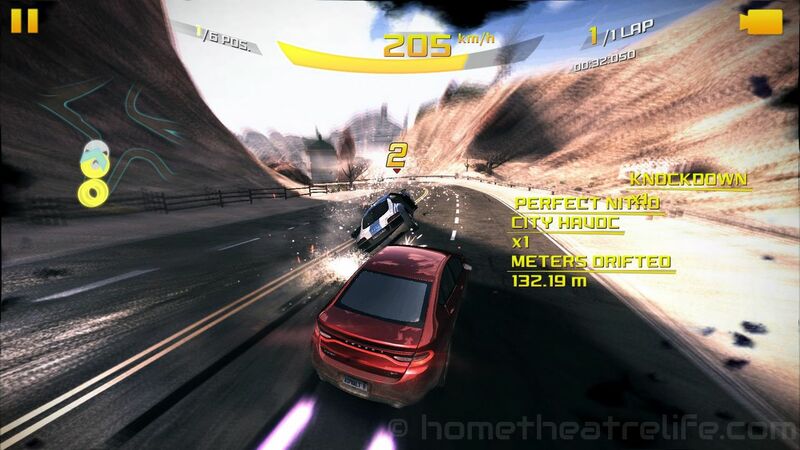 Jumping to something more demanding, Asphalt 8 was very playable, despite the framerate often sitting slightly below 30FPS. I connected my iPazzPort Bluetooth Keyboard over Bluetooth without any issue. My Tronsmart Mars G01 was recognized as a Xbox 360 controller and I was able to use it in both Beach Buggy Racing and Asphalt 8. To test out WiFi performance, I used iperf (iperf –t 60 -c SERVER_IP -r) to test networking bandwidth in both directions. My router is approximately 5m away, with a single wall between the router and the device. WiFi performance is heavily impacted by a number of factors so your performance may vary. iPerf returned upload and download speeds of 7.86Mbps and 23.1 Mbps respectively. In terms of real world usage, WiFi performance was solid. I didn’t experience any issues when streaming 1080p and 4K samples from an NFS share on my server. Similarly, playing a 1080p YouTube was also no issue. The MeLE PCG01’s thermal performance was excellent. It’s clear that MeLE have focused on designing a unit that remains cool under load. To test thermal performance, I loaded up the unit with HeavyLoad, a freeware application that simultaneously stresses the CPU and GPU. After 30 minutes, the MeLE PCG01’s SoC temperature topped out at 75°C according to HWiNFO. Ambient temperature was 20°C. This leaves plenty of thermal headroom until throttling would kick in, something I didn’t experience during testing. 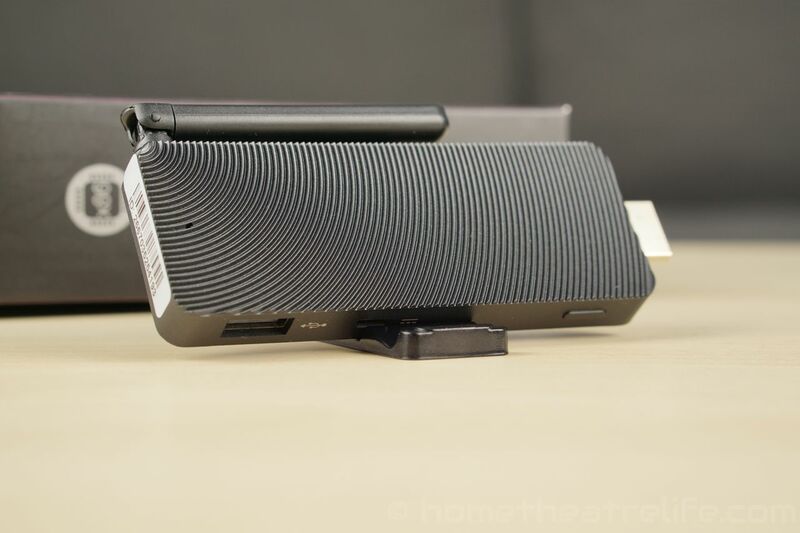 Whilst not the coolest PC I’ve tested (that honor goes to Beelink Pocket P1), it’s an impressive effort given the unit’s small form factor. As we’ve seen with other Bay Trail PCs, power consumption is excellent. Even with the CPU and GPU maxed out during my stress tests, the system only drew 7.9W. 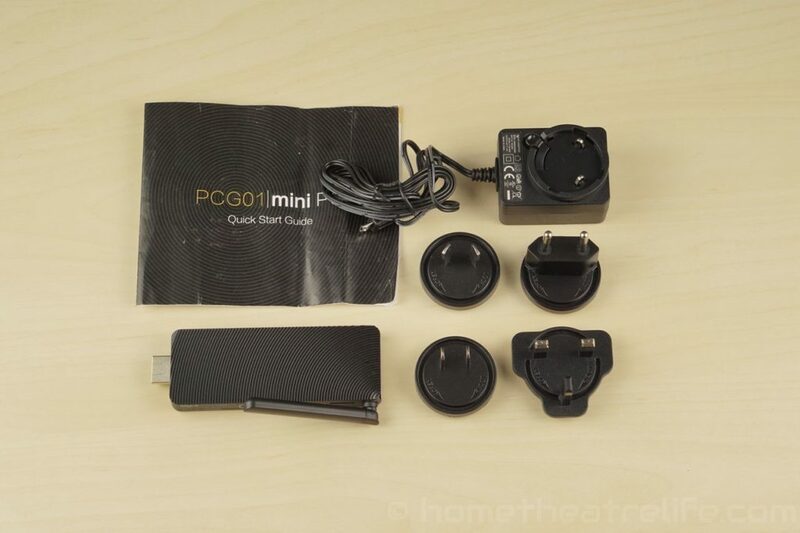 The MeLE PCG01 is an excellent mini PC, cramming top quality components into a compact shell. It handled media playback and casual gaming well, and even during stress testing, the unit remained under the SoC’s thermal limits. I do wish it had another fullsize USB port however, as having only one makes the unit a little awkward once everything’s plugged in. Overall, if you’re wanting a uber-compact Windows PC or HTPC that you can take anywhere, the MeLE PCG01 is an excellent option and one of the best mini PCs I’ve tested. The MeLE PCG01 is available from their AliExpress store, with MeLE currently offering a significant discount for a limited time. Alternatively, it can be purchased from Amazon and TinyDeal. 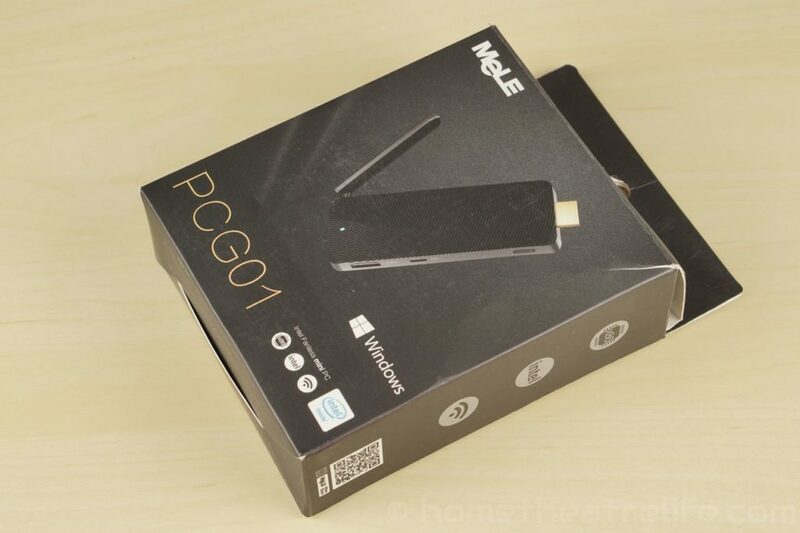 The MeLE PCG01 is an excellent mini PC which can handle web browsing, media playback and even light gaming with ease. 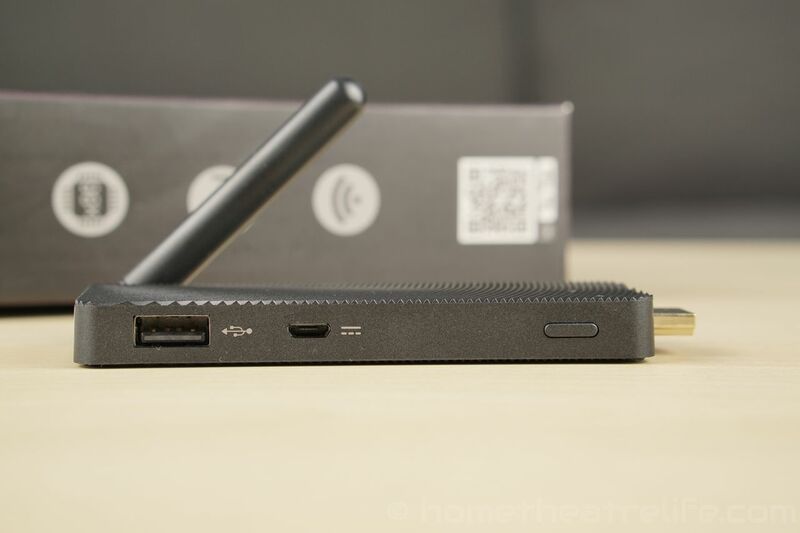 I would have loved another fullsize USB port, but overall, the MeLE PCG01 is a real winner and one of the best mini PCs I've tested.